This one’s a little bit longer than the last two, about 6 and a half minutes, just so you know what you’re getting into. Lots to see on the show floor, spent all of Day 03 in the Central Hall. Cameras, any and all gear related to production of all sorts, very fascinating as always. Here’s the first of what hopefully will be 4 or 5 short reports I’ll be posting to this blog. I’m no journalist, but I’ll try to make it somewhat interesting. 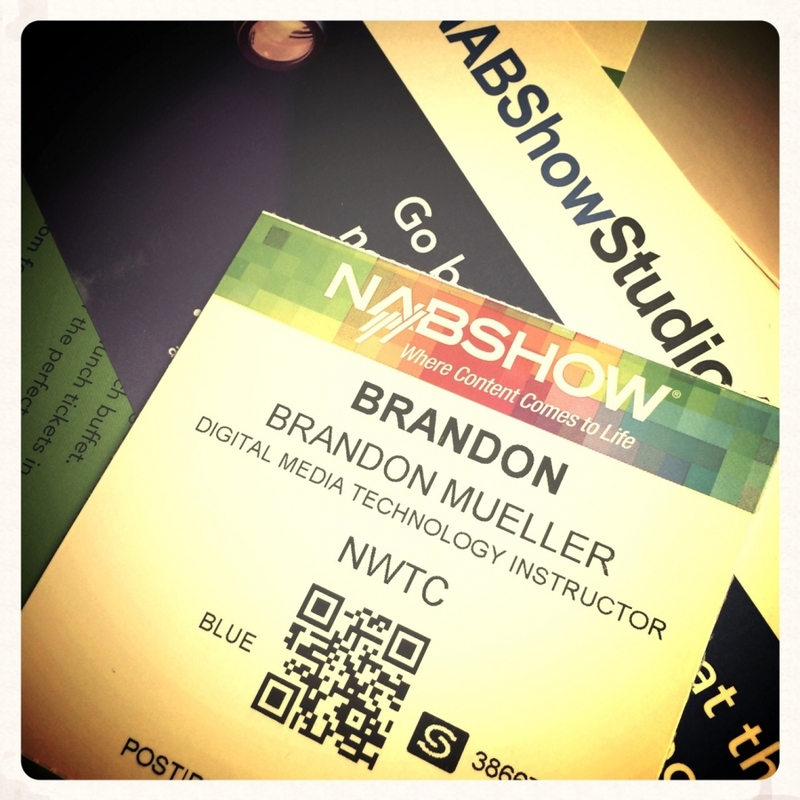 NAB 2014 Day 01 Report from Brandon Mueller on Vimeo. Getting into the swing of things here at the big show. Today begins Post Production World classes, currently sitting in on Personal and Corporate Branding with Amy DeLouise. I’ll be posting some video wrap-up reports as I get them complete. So far so good here. On the way to Vegas. Oh yeah, this came in the mail last week!!! Yes, I will be in attendance at the greatest video/film geek convention in the universe.